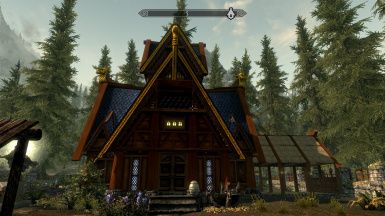 A home in Whiterun compatible with multiple adoptions . Room for 4 kids and 4 followers. 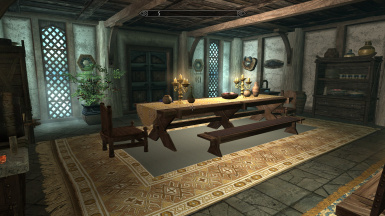 Use mod "Hearthfire Multiple Adoptions" if you want 4 kids, and "My home is your home" to add followers to this home. 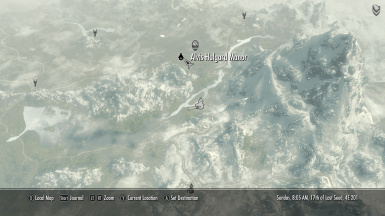 Cloud Storage with Crafting Centers This is a master for for Whiterun dependent. Added bed IDs for each child bed. 6.0 was missing teleport home script. Changed guest beds from player faction to none for guest that belong to another faction. added return home spell tome. Made lighting brighter with less fade. fixed one bed orientation guest bedroom. Made a separate main file for users that wanted up to eight followers. Added two beds to guest bedroom. Changed three roof pieces to dlc2 skaal village type for more solid look. Made lighting a little brighter without making it look unnatural. added custom drapery to match carpet. 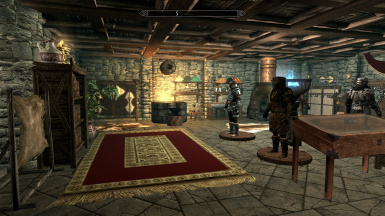 fixed rug in the armory. 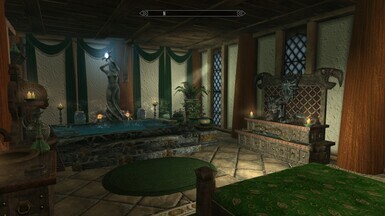 Added some custom drapery and carpets. 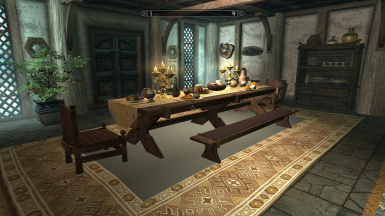 Added a modified custom version of Dwemer Chairs and table. 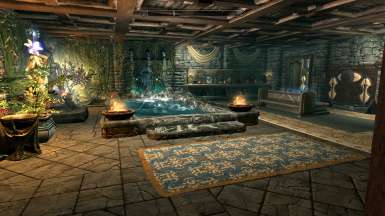 Changed texture of pool and bath from Slate to DLC2 onyx and bronze. Changed beds. All beds are noble furniture. Changed Pool area see pictures. Changed mirror script to produce more light when changing appearance. 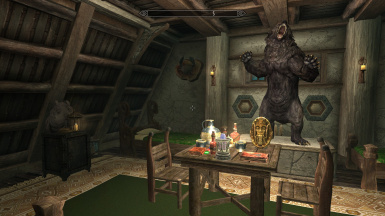 This version has a change appearance mirror. It also has a change table setting toggle switch. 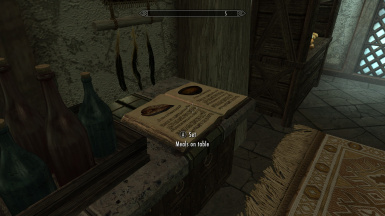 For players who wanted to disable the remove armor trigger boxes over the beds, I added a spell book to toggle the remove armor trigger box over beds. Each room has their own toggle. It is initially disabled. 1. 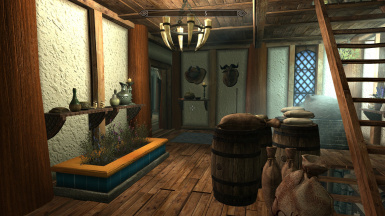 Moves followers guest bedroom upstairs. 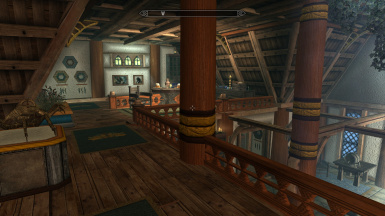 Removes crafting area from upstairs. 2. 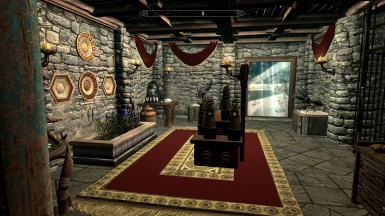 Guest bedroom in armory is changed into crafting, standing stones, and more trophies area. 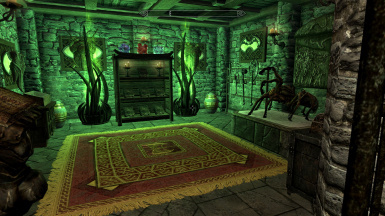 It moves staff crafting to armory, adds more byoh trophies, adds all 13 standing stones, and finally adds spider scroll crafting. 3. It adds a switch in the children's room that changes the children's room into a follower's room. That gives the home a total of 6 beds for followers. 4. Adds in more Ldirt01 to outside landscape. 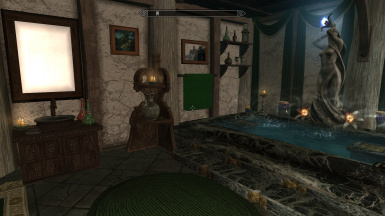 4.2 Expanded the stable space, added more statics, soften lighting further, more weapon racks, added control for new splashing water in master bedroom bath. If you have an earlier version remove it before downloading. N compass inside the cell so the inside compass matches the outside. One Dragon perch over home. 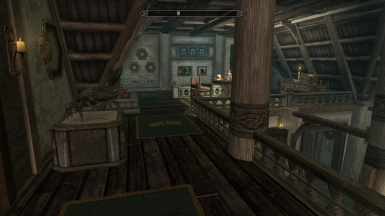 I noticed more dragons were coming when the house was made compatible for hearthfire multiple adoptions, but they didn't know where to perch. Changed out some flicker lights for warm lighting inside and outsde the home. Added a mirror to change appearance. Added a book to toggle dining room table setting. I extended the collision barriers below ground with Nav-cut. This is to keep predators off the fence. 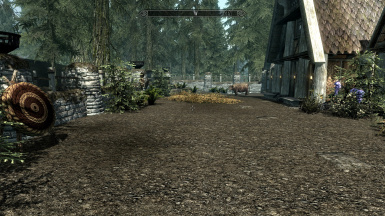 Changed dirt01 for default landscape to reduce the clipping that people see using Verdant grass. 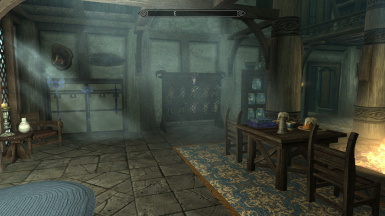 Added a static of the dragon stone tablet, a Nord war horn, and a Imperial war horn. Added retaining wall in backyard. Changed out secret door for a portal. Added deck outside by garden. 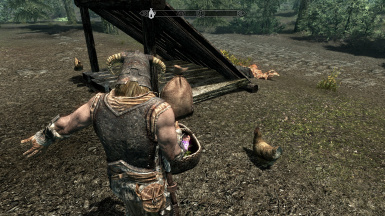 3.0 Dependent uses Cloud Storage with Crafting Centers https://www.nexusmods.com/skyrim/mods/96756 as a Master file. 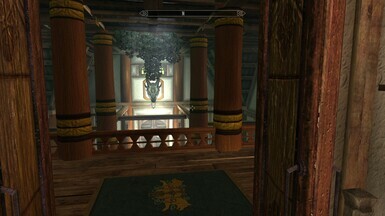 This version adds several features that are now described in the description. Consider the Dependent a different model than the Stand-alone. Changed some of the Mask orientation because they were not working. Tested all and they work now. 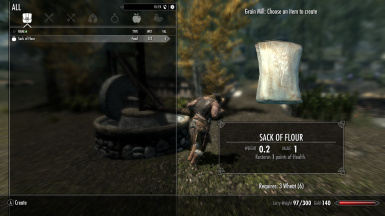 Changed the "remove armor from NPC spell from 10,000 sec to 28800 second that is the eight hour time span. Removed some grass from the front yard by garden. Removed another tree and two tree stumps. 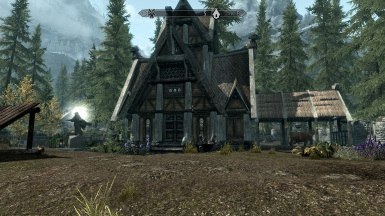 Still requires both The Great Forest of Whiterun Hold Patch and Whiterun Home 4_5 to load before it. 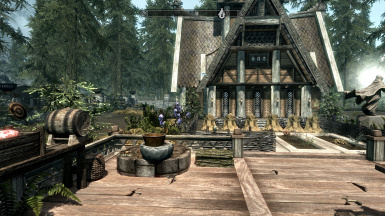 Whiterun Home 4_5 Dependent requires Cloud Storage with Crafting Centers https://www.nexusmods.com/skyrim/mods/96756 to work properly. 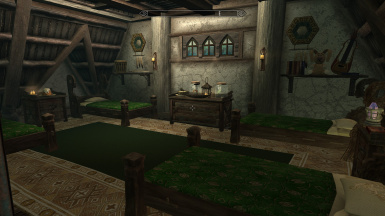 This Home can provide Well Rested perk gain 10% more experience, Lover's comfort 15% more experience ( If spouse is with you), and Father's/Mother's Love bonus, 25% additional effect when using healing potions (if children move here). 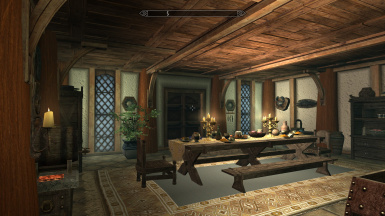 The main manor is compatible with the Hearthfire Multiple Adoption mod. 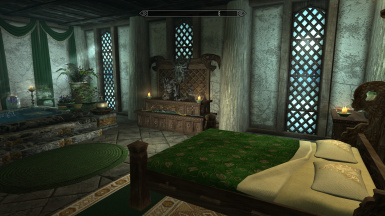 Just use their bless this home spell, and by default it is set-up for up to 4 children beds and 4 follower beds. There is a re-decorate switch in the children's room that converts the room for followers (a no children's option). This option will support 8 beds for followers. Local and hobo linked storage for player usage. Hobo storage containers can be used to access storage in other locations tied to Cloud Storage Crafting Centers . 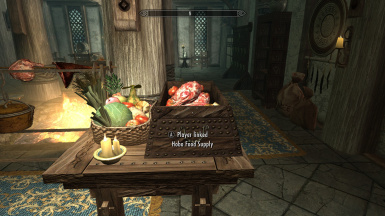 Crafting for cooking, baking, alchemy, enchanting, staff enchanting, spider scrolls, smithing and a customer potion converter (small sample of potions can be upgraded), and Return home spell. 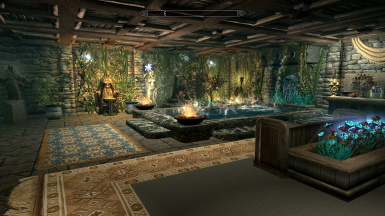 The player can interact with some items in the home like: A waterfall, the butter churn gives 1 butter for 1 milk, two sinks, Two fire pits, the master bath water splash, 11 Hobo storage containers that connect to any other Hobo location, Book for Reading animation and reading effects, Chair for Relaxing Bath effect, Soap for Soap effect, Invisible furniture markers for writing, translate, and relax animation, bag to feed Chickens, a cow to milk, a book to set the table, and a mirror to change your appearance. Display for scrolls, Display for Paragons, Black Books display, All Claws display, All Masks display, All Unique Jars. 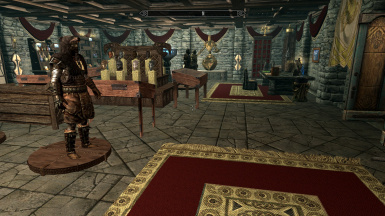 Manor also includes: weapon racks, weapon plaques, shield plaques, bookcases and mannequins. 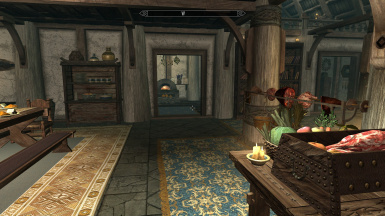 There are 8 customer journals that each give a skill (2 of these journals are hidden).There is also a custom spell that has NPC followers remove armor when entering the pool, bath or bed. This spell is not included in the children's room when the children's decorate option is selected. There are four secrets in the home. Two are "the hidden journals", another is gifts from Sassa, and finally the 4th answer to how Alvis, Sassa and Asta made it out without detection. 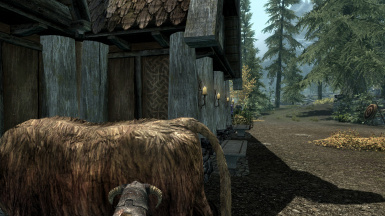 The mod will be incapable with other house or building mods in the same location. 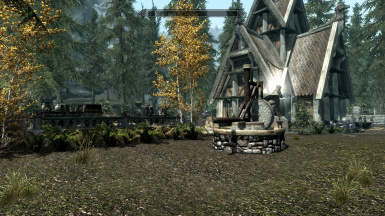 Use " The Great Forest of Whiterun Hold patch" if you want to use with The Great Forest of Whiterun Hold mod.